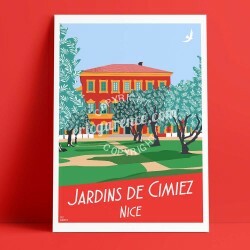 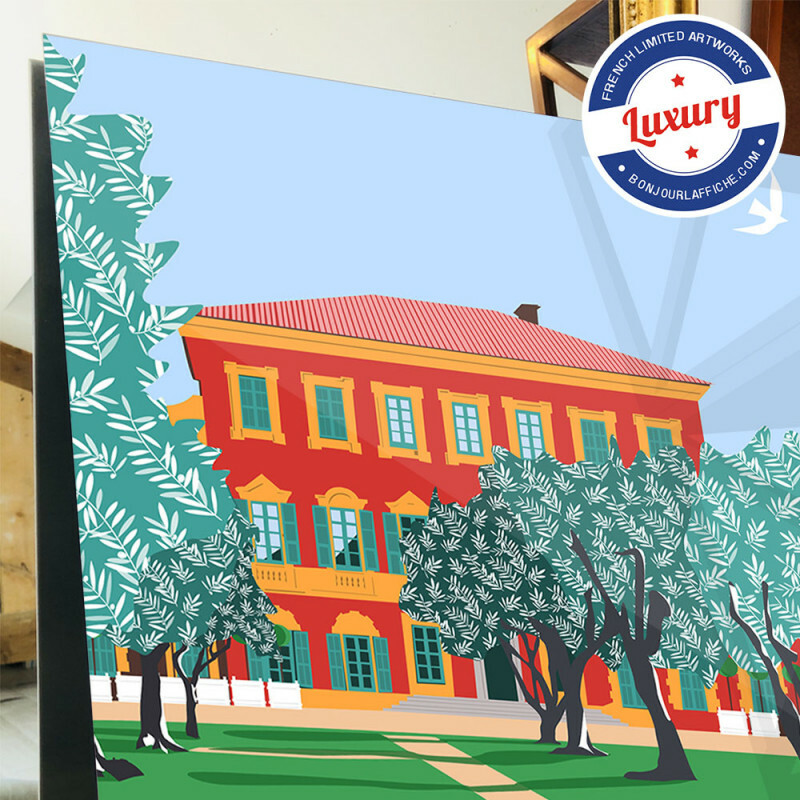 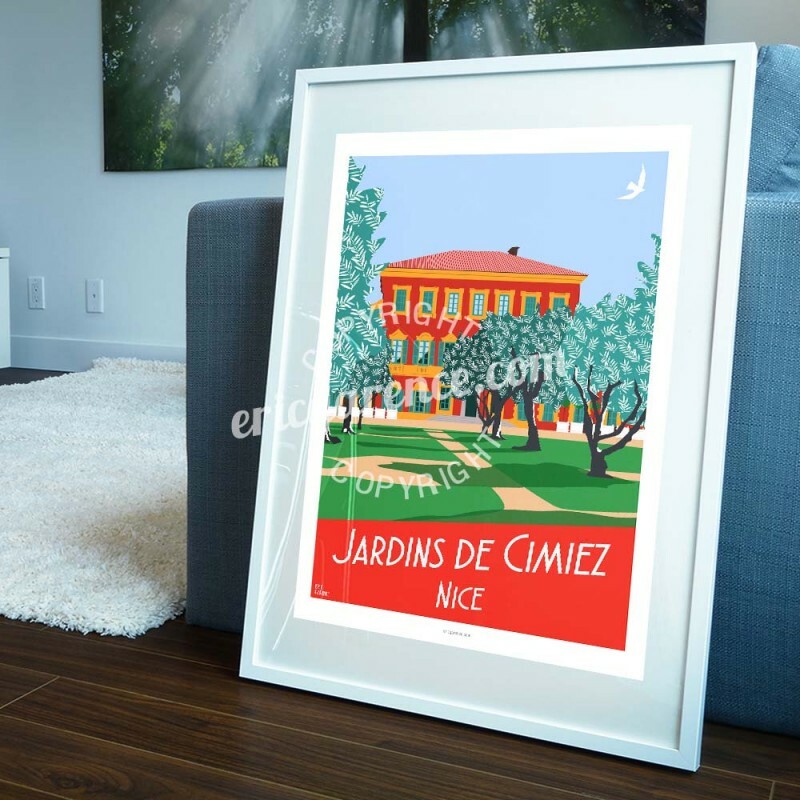 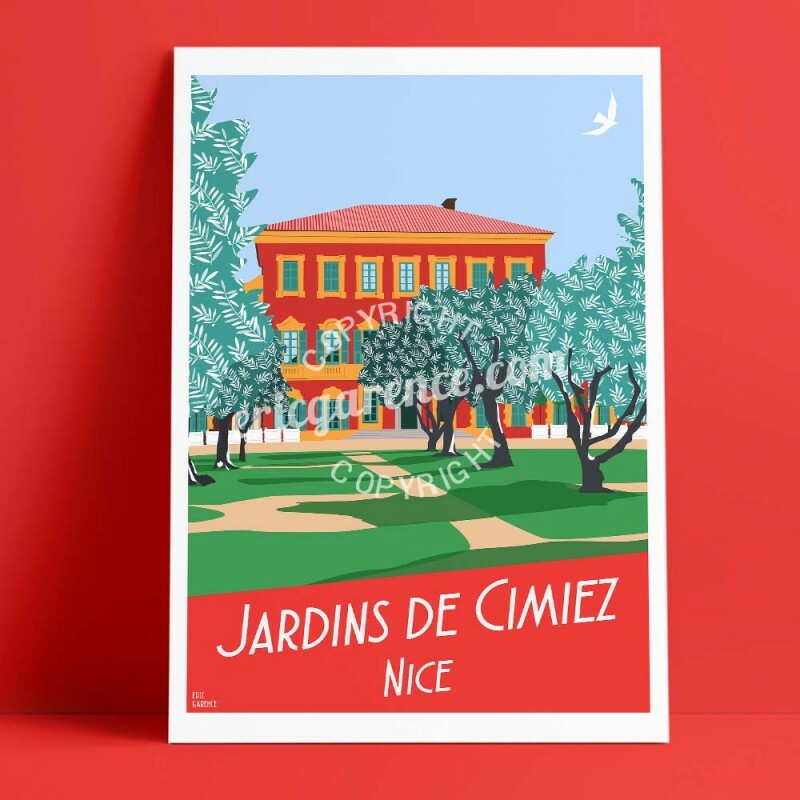 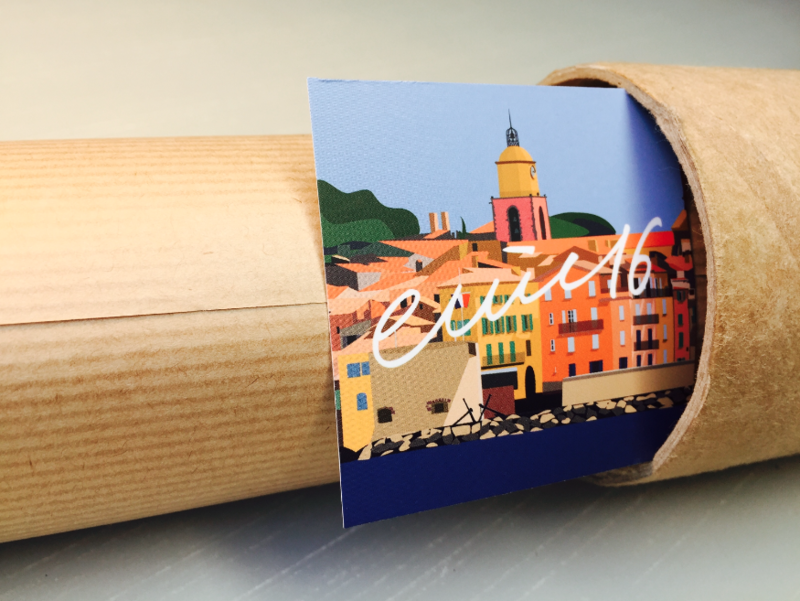 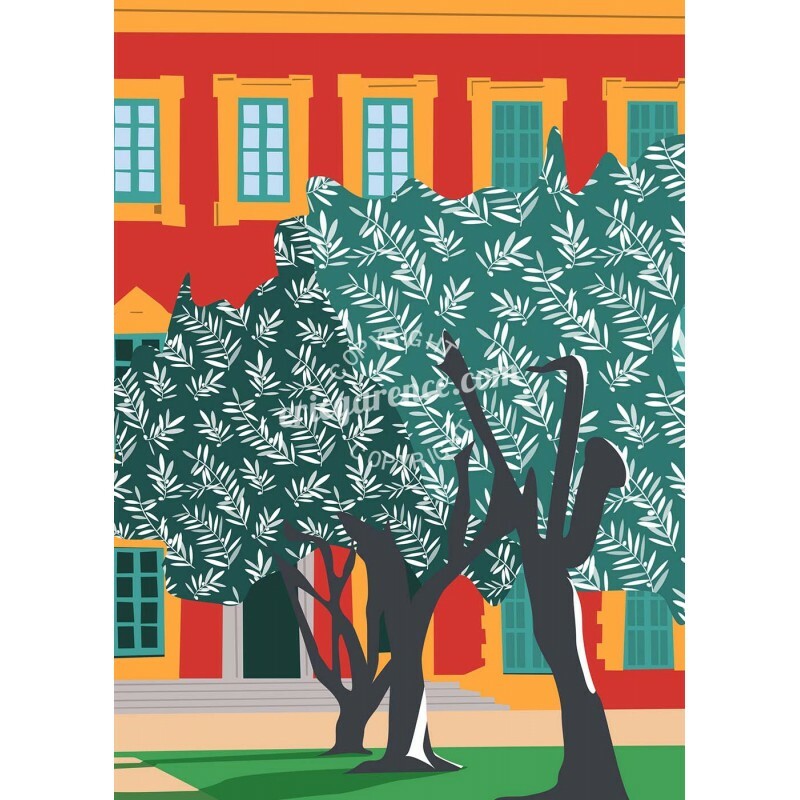 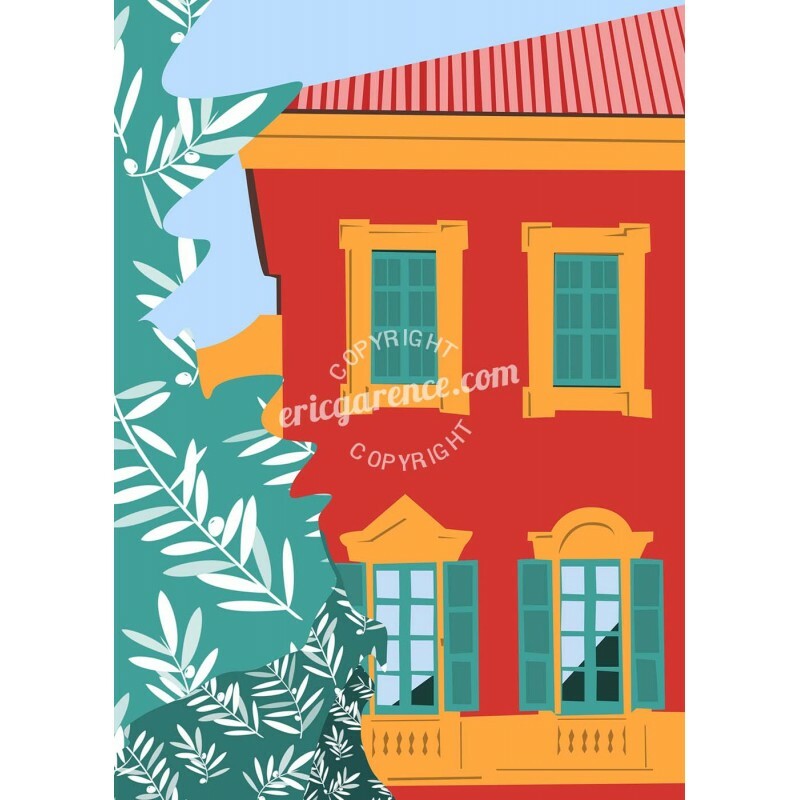 Art illustration part of the 2nd series Niçoise, published in 2017 this original poster represents the Jardins des Arènes de Cimiez in Nice. 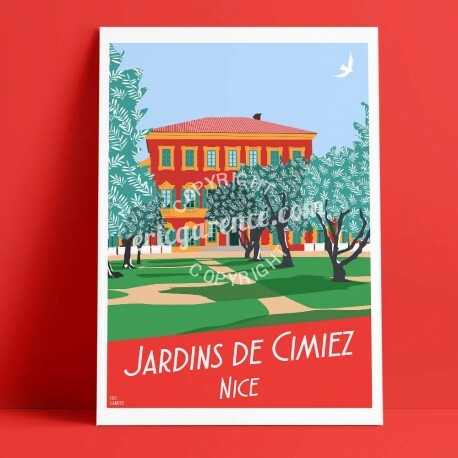 The poster hides a saxophone in tribute to the Nice Jazz Festival that was held there, it is also a nod to the painter Henry Matisse and centenary olive trees garden cimiez arena. 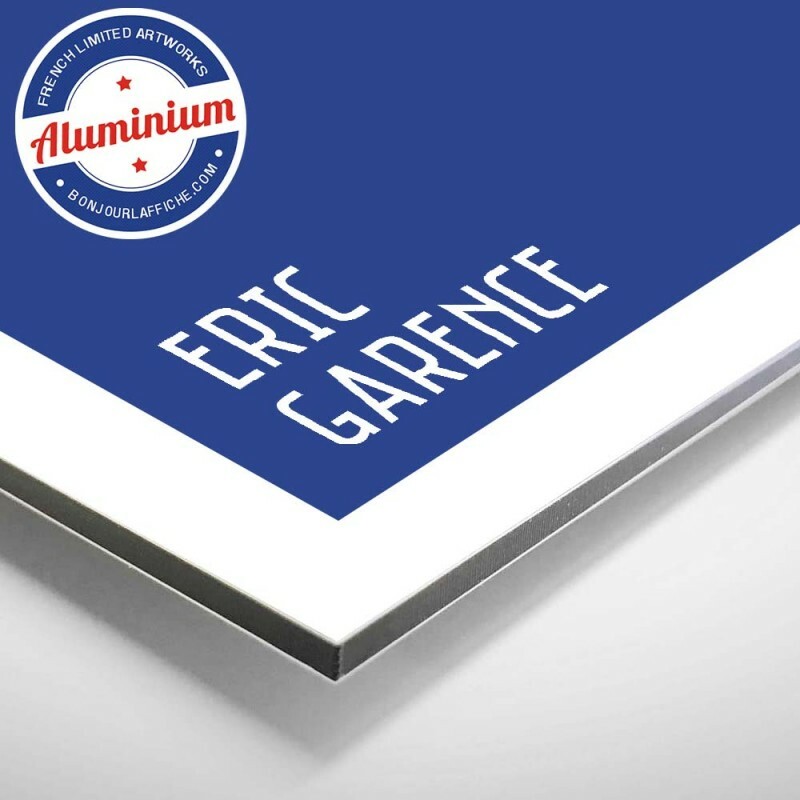 The poster is signed Eric Garence.